The sun was shining, the wind was blowing and the good countryfolk of Kent went out to play! 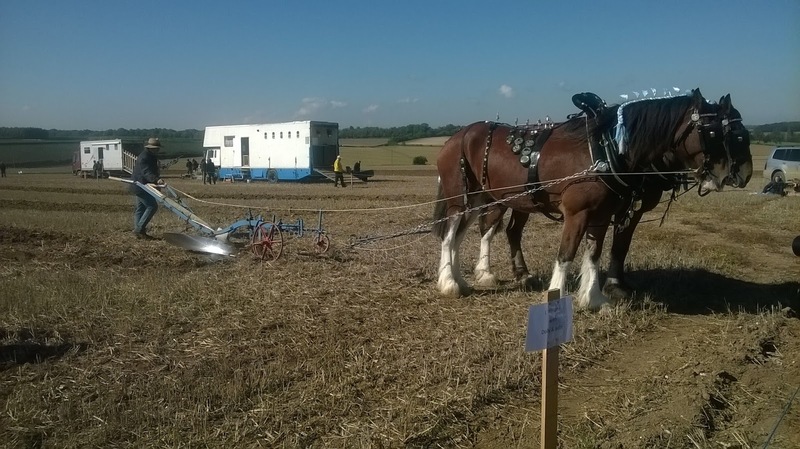 Wednesday was the annual East Kent Ploughing Match - held this year near Adisham (not far from Canterbury). 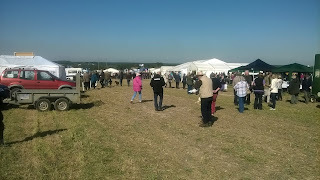 There was a very good turn out, as always, although there were a lot of farmers missing this year. 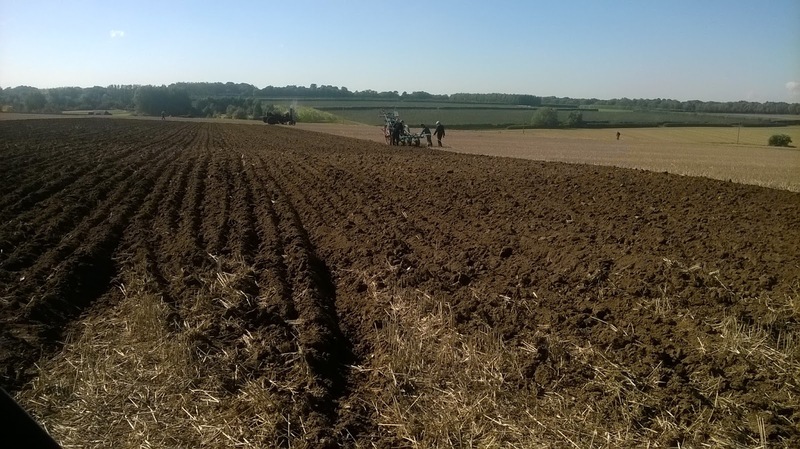 The weather has caused a lot of problems for the arable farmers and they were taking advantage of the good dry weather to get crops in the ground ready for next year. I love to watch the teams of horses ploughing and this year there were 4 pairs in the competition. 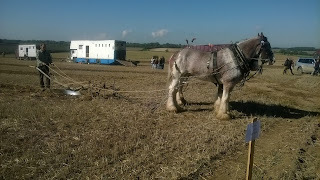 The horses were all magnificent, coats and brasses gleaming in the sunshine. 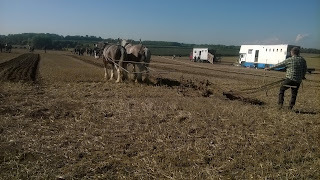 In the next section of the field was a pair of old steam ploughs. They sit at opposite ends with a chain running between them. 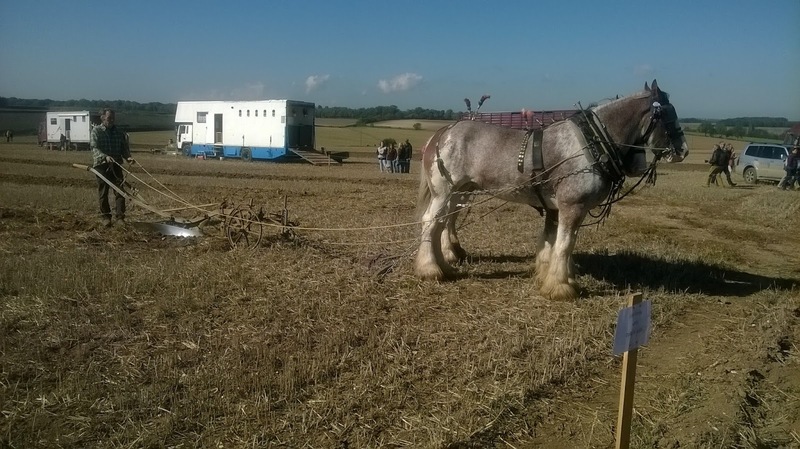 The engines take it in turn to pull on the chain and the plough travels across the field. 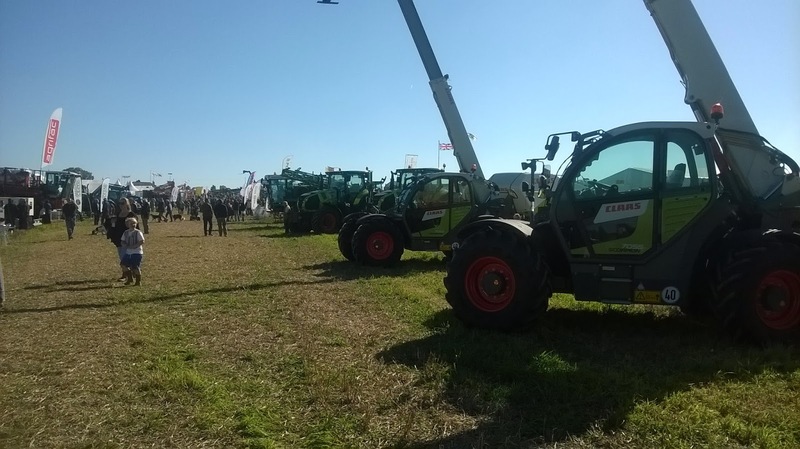 Here you can see one of the engine drivers waving to let the other engine know that the plough is ready to come back down the field. 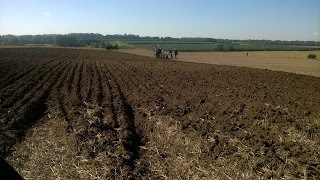 Two men sit on the plough to steer it and keep it straight. 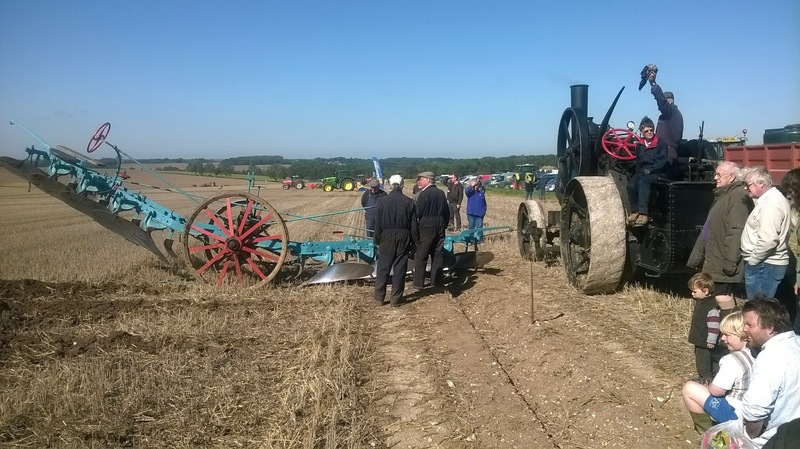 These engines are quite rare, especially as a working pair and so it was a joy to see them. David, of course, was more interested in the rows of boys' toys on display! 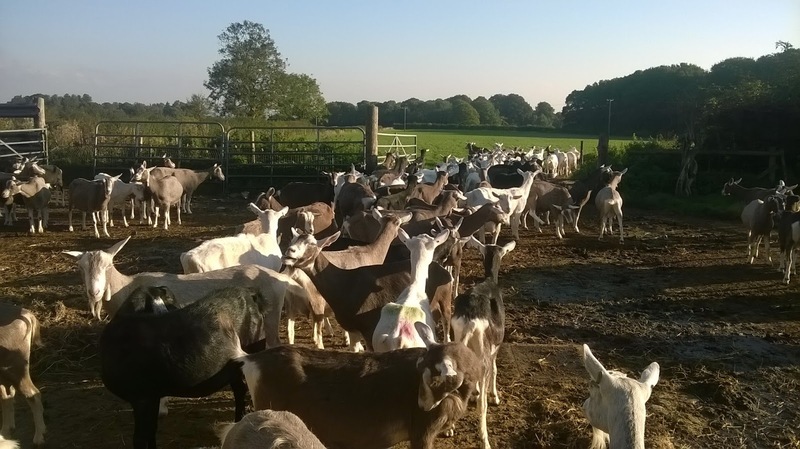 The goaties were also taking advantage of the nice weather at home and spent much of the day out in their field.. 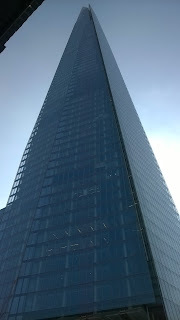 It really has been a glorious week .. and The Shard looked absolutely magnificent yesterday in the afternoon sunshine ... Just amazing!